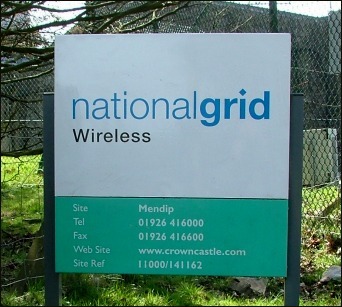 THE MENDIP TRANSMITTER is the UHF main station that serves the West of England region, sited near the Cathedral City of Wells and principally serving the counties of Avon, Somerset, South Gloucestershire, West Wiltshire and North Dorset. Central to the service area are the cities of Bristol, Bath and Wells, whilst on the outer fringes the station serves Taunton, Bridgewater, Yeovil, Cirencester and Swindon. 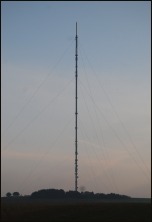 Signals from this transmitter also cross the Bristol Channel into parts of South Wales, overlapping with coverage from the Wenvoe transmitter. Conversely some lower-lying areas close to Mendip, where the signals effectively 'pass-over', receive better reception from Wenvoe. There is no BBC National FM service from Mendip as the West of England is served principally by transmissions from Wenvoe. The Mendip station is the site of the third BBC-built cylindrical 'steel-tube' mast. At a basic height of 281 metres (920-ft), it is the shortest of the five UK-based cylindrical masts still in existence. 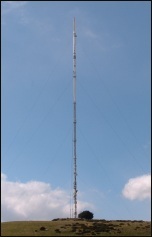 It is however only marginally shorter than the two other BBC-built masts at Bilsdale and Waltham, which both stand at a basic height of 290 metres (950-ft) before the addition of their respective surmounting main UHF antennas. 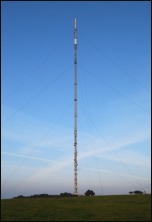 The current main UHF antenna at the top of the Mendip mast (installed in March 2009 as part of the re-engineering for Digital Switchover) extends the overall height of the structure to 293 metres. Unlike the Bilsdale and Waltham masts which have always had a charcoal-grey appearance, the Mendip mast was originally painted white. However, this became prone to rapid deterioration and when a full repaint commenced in September 2005 (by which time the last coating of white paint was seriously dilapidated) the mast was painted to match the charcoal-grey colour of the Bilsdale and Waltham masts. 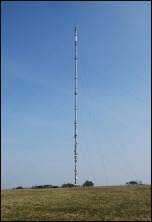 The Mendip mast has the same stay-line configuration as Bilsdale and Waltham, comprising twelve lines which attach to the structure at layer platform levels 2, 4, 6 and 8, and descend in three directions in sets of four to six ground anchor blocks. 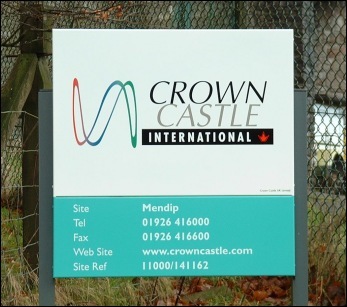 Mendip, Bilsdale and Waltham were the tallest structures owned by the BBC and, under privatisation, Crown Castle UK and National Grid Wireless. 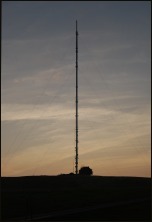 The other two remaining cylindrical masts are located at Belmont and Winter Hill and, along with Emley Moor, were the tallest built by the Independent Television Authority (ITA). 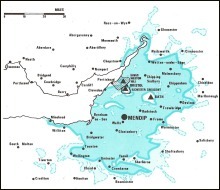 The purpose of the Mendip transmitter was to bring UHF coverage to the West of England region, where coverage on the original 405-line system was provided principally by transmissions from the Wenvoe (BBC) and St Hilary (ITV) stations near Cardiff. 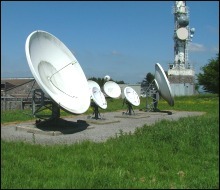 The BBC were responsible for the construction of Mendip and aimed to bring the new station into service, initially as a BBC2 transmitter, during 1967. However the proposed site in the Mendip Forest failed to gain local authority approval on amenity grounds. The BBC then found a new location outside the forest on Penn Hill, two miles north of Wells. Although this site was eventually secured, it was only after lengthy negotiations with the land owner which added to mounting delays. Penn Hill offered an above-sea-level ground height of 1000ft (305m). 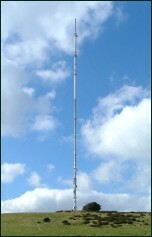 A mast of similar height was required in order to elevate the UHF transmission aerials to around 2000ft. The BBC therefore selected for the site a 920ft (281m) mast of cylindrical-design, construction of which commenced in the autumn of 1967. 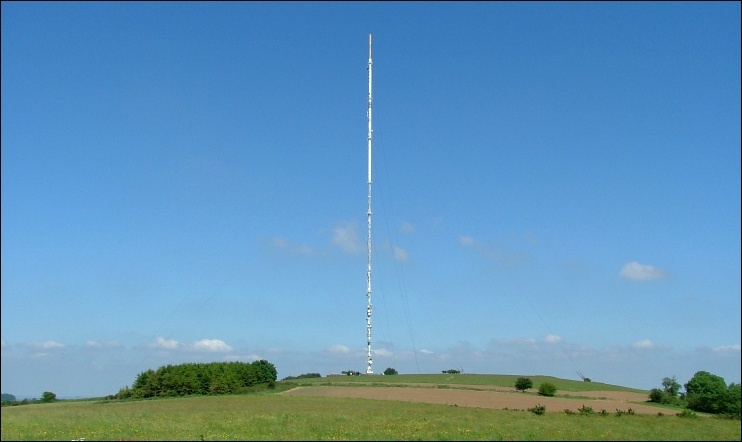 At this time, the BBC were completing the rebuild of the 950ft (290m) cylindrical mast at Waltham (the original collapsed near completion in November 1966), whilst embarking on the construction of a further 950ft mast at the new Bilsdale site in North Yorkshire. 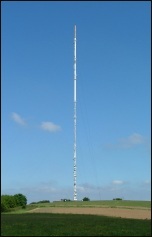 Mendip was to be the third and last BBC cylindrical mast installation and unlike it's predecessors it was to be painted white in order to meet the asthetic requirements of the local authority. Construction of the Mendip mast took two years to complete having been plagued by the usual variety of unforeseen delays, in particular problems with installing the engineers lift. The collapse of the Emley Moor mast in March 1969 did little to improve sentiment. 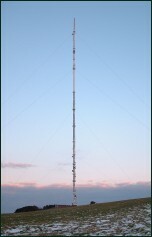 However, by late October 1969, the Mendip mast was finally complete and broadcasting trade test transmissions. On 1 December 1969, some two years later than scheduled, the Mendip transmitter entered programme service, transmitting BBC2 on Channel 64. UHF-colour transmitters for BBC1 (Channel 58) and ITV (Channel 61) followed on 11 May 1970 and 30 May 1970 respectively.